When an oophorectomy involves removing both ovaries, it's called bilateral oophorectomy. When the surgery involves removing only one ovary, it's called unilateral oophorectomy. An oophorectomy can be done alone, but it is often done as part of a more-complete surgery to remove the uterus (hysterectomy) in women who have undergone menopause. 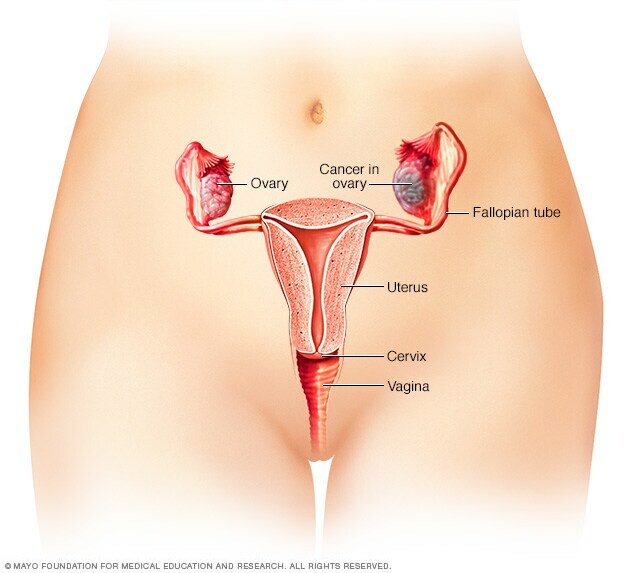 In those with an increased risk of ovarian cancer, an oophorectomy is commonly combined with surgery to remove the nearby fallopian tubes (salpingectomy) since they share a common blood supply with the ovaries. When combined, the procedure is called a salpingo-oophorectomy. An oophorectomy is a relatively safe procedure. However, with any surgical procedure, there are risks involved. Taking low doses of hormone replacement drugs after surgery and until about age 50 may reduce the risk of these complications. But hormone replacement therapy has risks of its own. Discuss your options with your doctor. You may need to stay in the hospital for a few days after an oophorectomy. How long you stay depends on how the procedure is performed and the reason for your surgery. Ask your doctor what you can expect. 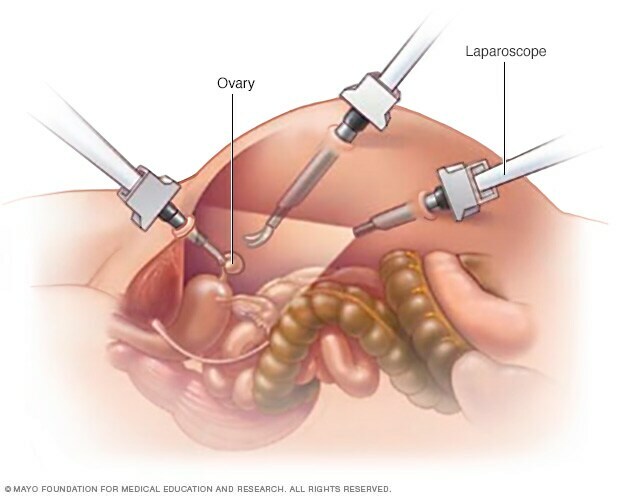 Laparoscopic oophorectomy uses special tools inserted through multiple incisions in your abdomen to remove your ovaries. Laparotomy. In this surgical approach, the surgeon makes one long incision in your lower abdomen to access your ovaries. 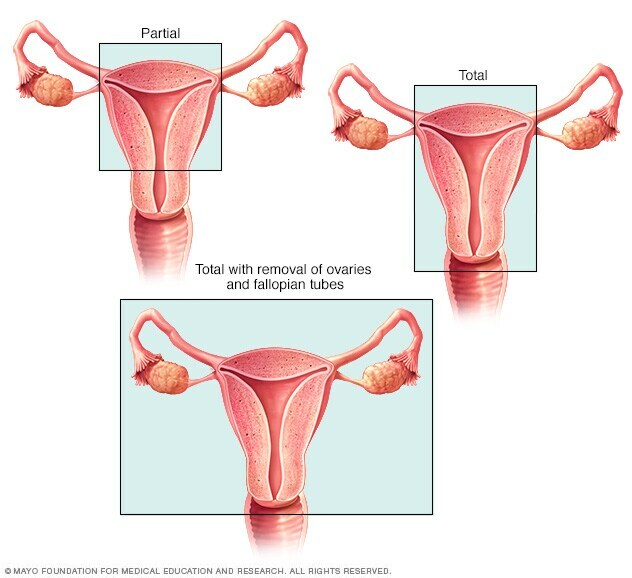 The surgeon separates each ovary from the blood supply and tissue that surrounds it and removes the ovary. Minimally invasive laparoscopic surgery. In this surgical approach, the surgeon makes three or four very small incisions in your abdomen. The surgeon inserts a tube with a tiny camera through one incision and special surgical tools through the others. The camera transmits video to a monitor in the operating room that the surgeon uses to guide the surgical tools. Each ovary is separated from the blood supply and surrounding tissue and placed in a pouch. The pouch is pulled out of your abdomen through one of the small incisions. Whether your oophorectomy is an open, laparoscopic or robotic procedure depends on your situation. Laparoscopic or robotic oophorectomy usually offers quicker recovery, less pain and a shorter hospital stay. But these procedures aren't appropriate for everyone, and in some cases, surgery that begins as laparoscopic may need to be converted to an open procedure during the operation. How quickly you can go back to your normal activities after an oophorectomy depends on your situation, including the reason for your surgery and how it was performed. Most people can return to full activity by six weeks after surgery. Those who undergo laparoscopic or robotic surgery may return to full activity sooner — as early as two weeks after surgery. Discuss exercise, driving, sexual restrictions and overall activity level with your surgeon. Hoffman BL, et al. Surgeries for benign gynecologic disorders. In: Williams Gynecology. 3rd ed. New York, N.Y.: The McGraw-Hill Companies; 2016. http://accessmedicine.com. Accessed Nov. 8, 2016. DeCherney AH, et al. Preoperative complications. In: Current Diagnosis & Treatment Obstetrics & Gynecology. 11th ed. New York, N.Y.: The McGraw-Hill Companies; 2013. http://www.accessmedicine.com. Accessed Nov. 8, 2016. Valea FA, et al. 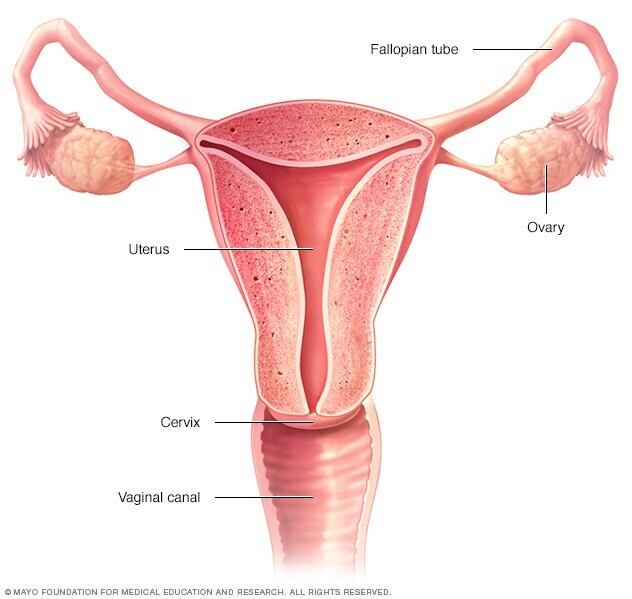 Oophorectomy and ovarian cystectomy. http://www.uptodate.com/home. Accessed Nov. 8, 2016. Tomasso SK, et al. Incidence, time trends, laterality, indications, and pathological findings of unilateral oophorectomy before menopause. Menopause. 2014;21:442. Rodriguez M, et al. Surgical menopause. Endocrinology and Metabolism Clinics of North America. 2015;44:531. Lentz GM, et al. Preparative counseling and management. In: Comprehensive Gynecology. 6th ed. Philadelphia, Pa: Mosby Elsevier; 2012. http://www.clinicalkey.com. Accessed Oct. 26, 2016. Mann WJ. Overview of preoperative evaluation and preparation for gynecologic surgery. http://www.uptodate.com/home. Accessed Nov. 8, 2016. Hoffman BL, et al. Minimally invasive surgery. In: Williams Gynecology. 3rd ed. New York, N.Y.: The McGraw-Hill Companies; 2016. http://accessmedicine.com. Accessed Nov. 8, 2016. Paraiso MFR, et al. Robot-assisted laparoscopy. http://www.uptodate.com/home. Accessed Nov. 8, 2016. Faubion SS, et al. Elective oophorectomy: Primum non nocere. Journal of Women's Health. 2015;25:200.